OK, so by now you would know we are well and truly obsessed with Greg Natale! We recently posted about his latest Designer Rugs collection, went on a tour through his Sydney apartment, shared his furniture collaboration for World’s Away and Style Craft, and now he has done it again! 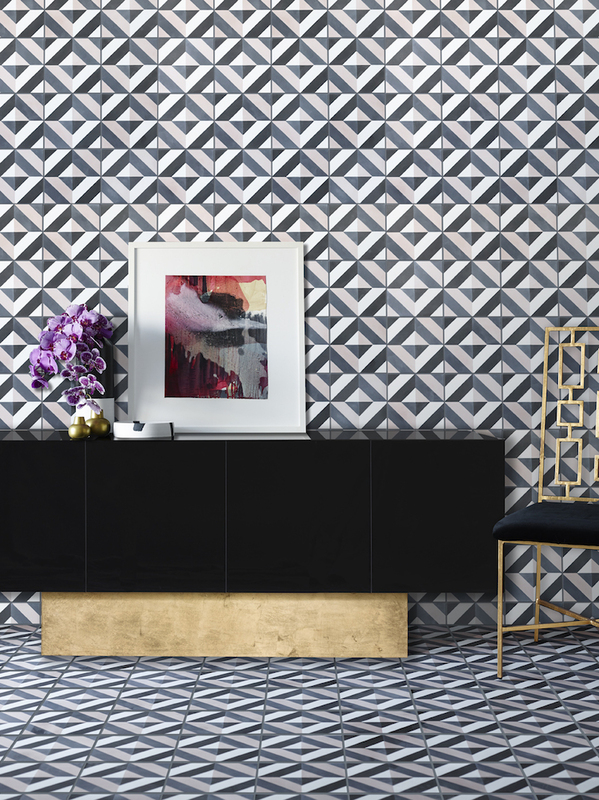 Today it’s all about Greg Natale’s first tile collection — a collaboration with Teranova featuring four stunning designs… Enjoy! 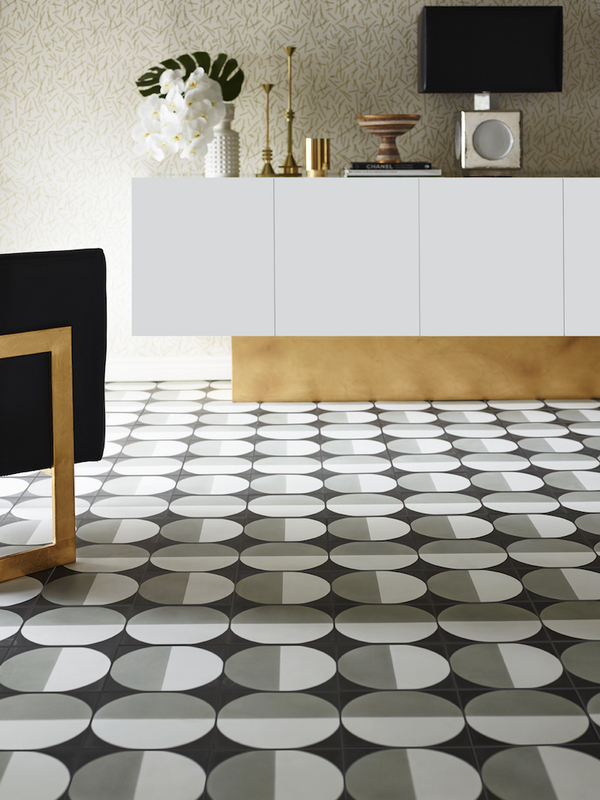 Tell us about your designs and what it was like to design your first tile collection. “It’s a natural progression for me,” says Greg. 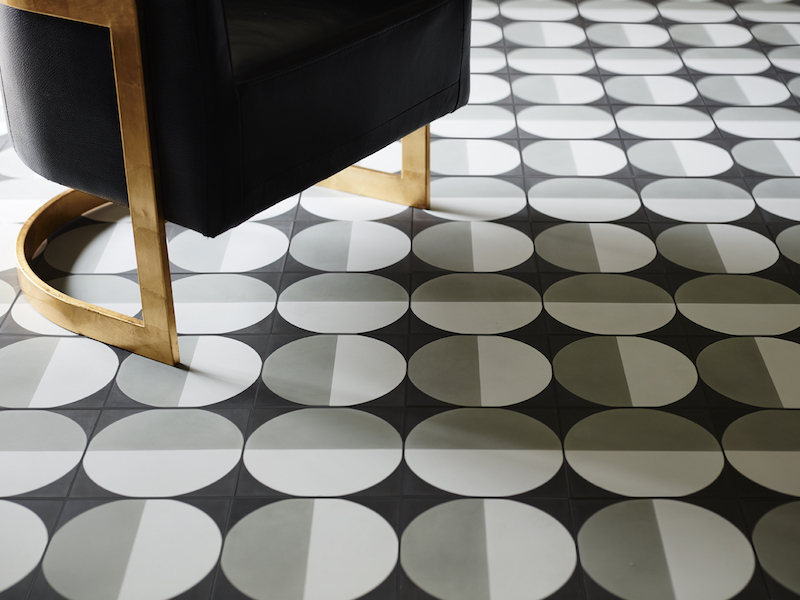 This range celebrates the resurgence of patterned tiles in interior design. Contemporary or classic, clean-lined or richly detailed, there’s something here for everyone. Knowing that tiles are generally more permanent in a person’s home than soft furnishings or furniture, did that weigh on your mind and affect your design decisions? 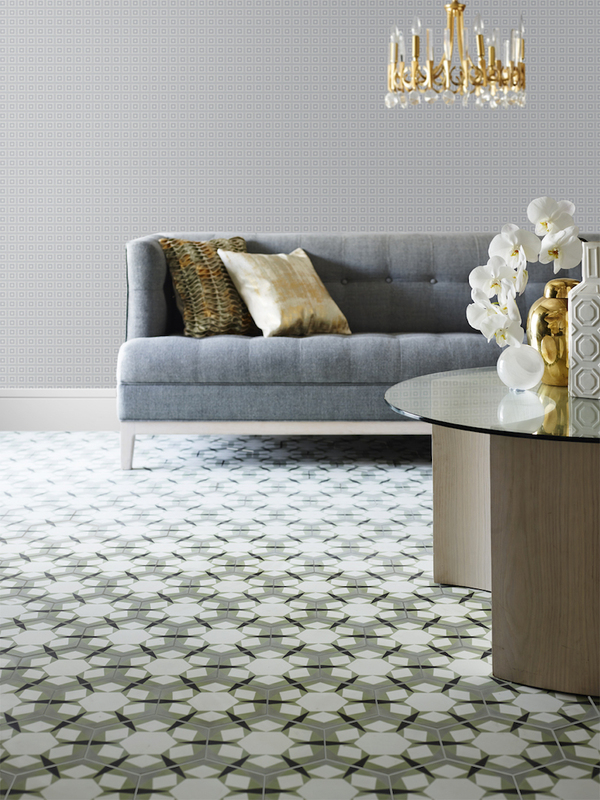 “We kept the colours very neutral so the tiles will last through different trends,” says Greg. 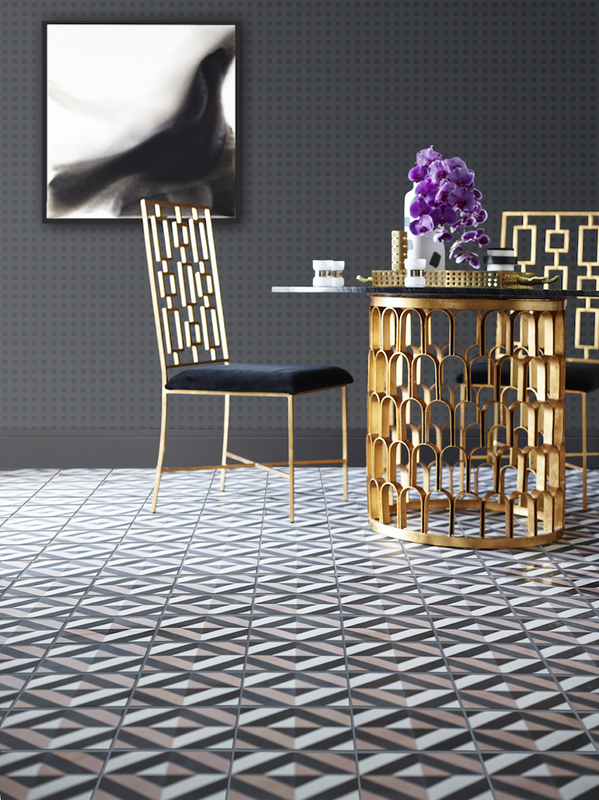 The most striking feature of this collection is indeed the bold use of pattern and we love how the repeated patterns work so beautifully together. 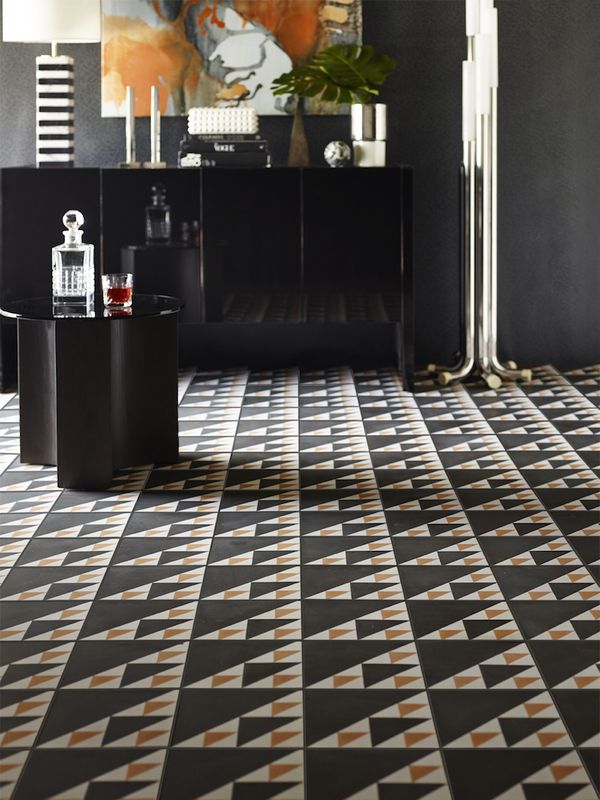 The four designs in the range are ‘Optical’, ‘Triangle’, ‘Circle’ and ‘Hexagon’. 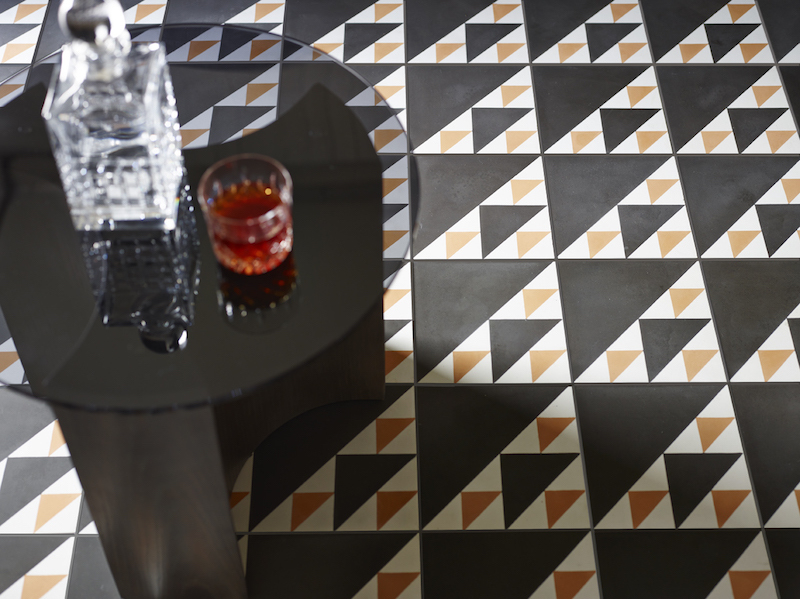 As your first tile collection, we imagine you would have had many ideas for designs! Did you find it difficult to narrow your designs down to the final collection? “Yes, it’s always difficult,” says Greg. I tend to over design and then pull it back to select the best designs. I chose the four in this collection for their versatility — they can suit modern or traditional rooms. While we adore the colours of this collection, we have been told that custom colouring is also available. These stunning concrete tiles aren’t strictly for bathrooms or kitchens. Greg has shared photos on his social media accounts of new installs using tiles from this collection and let us tell you, they look just as fab in living areas, dining spaces or even as a border around floors. 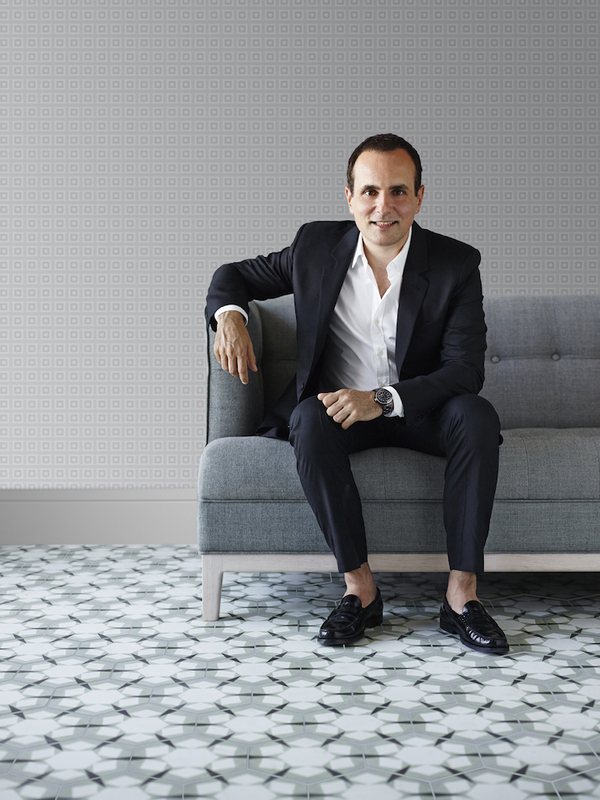 There’s a good reason why this man is a multi-award winner, including winner of Interior Designer of the Year at the 2014 and 2011 Belle Coco Republic Interior Design Awards! Check out the Teranova website to read more about the collection or make an enquiry.